Wicked Grips is proud to bring you our line of Magnum Research’s DESERT EAGLE Grips! 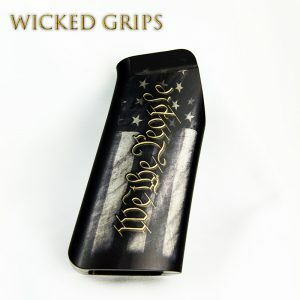 Incorporating all new engineering & quality manufacturing from Alumagrips, with art and design by Wicked Grips. 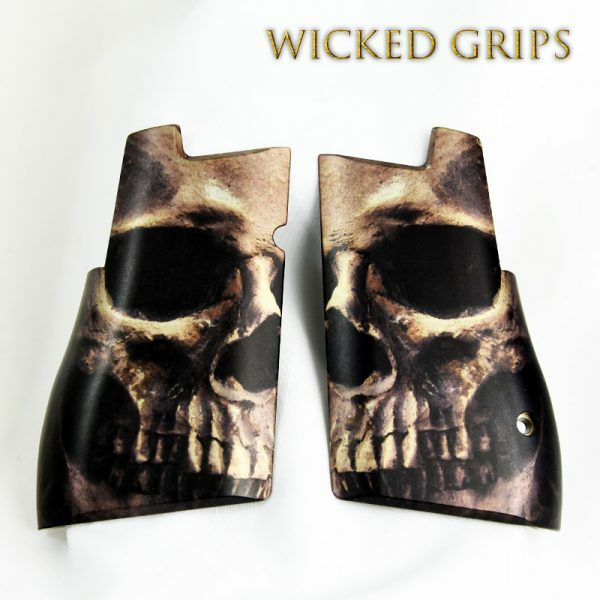 Panels are designed to replace single piece factory grips, with a very simple installation. 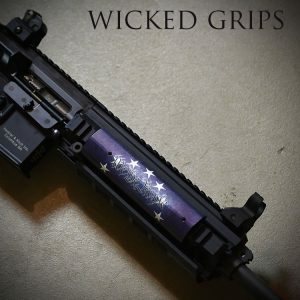 Painstakingly crafted in the USA in aluminum by ALUMAGRIPS, and finished with WICKED GRIPS’ artwork, type II anodized in for a permanent, yet photo realistic finish.. a killer combination! There are differences in frames over the decades, as well as between the IMI guns made in Israel to the USA made guns made in Minnesota. 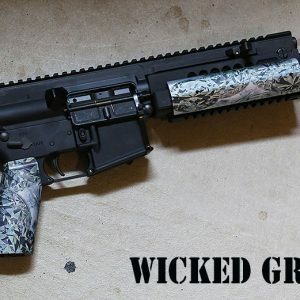 We took this into account, so that our grips will fit all generations of the fullsize Desert Eagle handgun in .357 magnum, .41 Action Express, .44 magnum and .50 Action express. 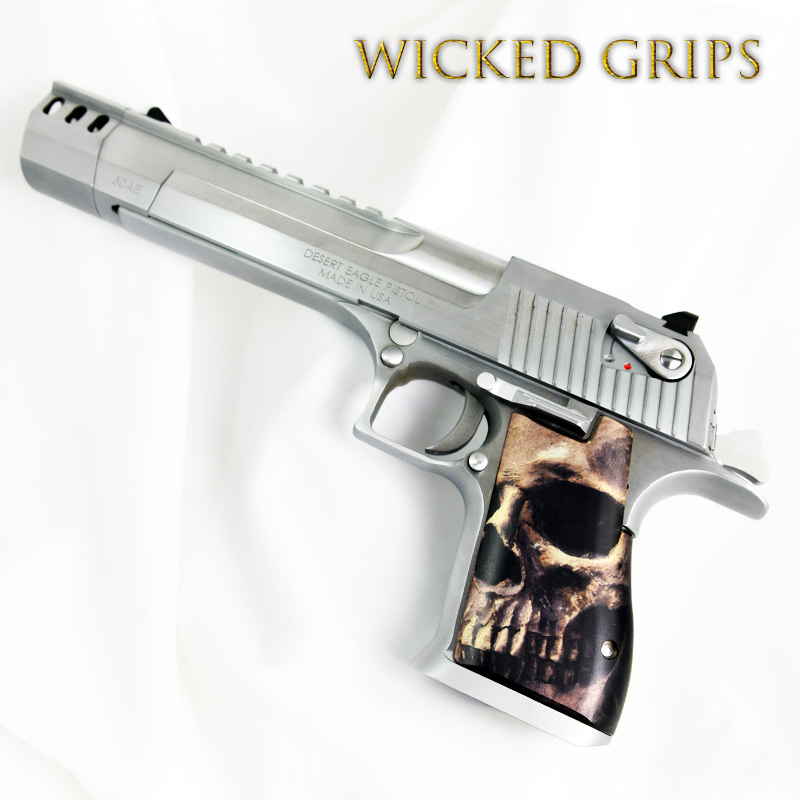 FITMENT: Our grips will fit the “Made in USA” Desert eagle guns as well as the older models from Israel. 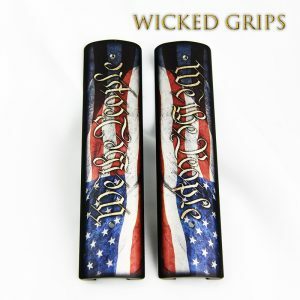 These grips are for the fullsize Desert Eagle handguns.. not the smaller “Baby Eagle” pistols. COMES PACKAGED IN OUR EXCLUSIVE COLLECTORS TIN.